There are plenty of walks within the village, on footpaths around the village and from Whissendine to neighbouring villages. If you have a suggestion for a walk, with or without documentation, please email it to info@whissendine.net. Click on the links below for detailed walk descriptions, maps, photos and “history bits”! 2. “The Rutland Round” is a circular walk of about 65 miles close to the perimeter of Rutland with diversions to Rutland Water and Oakham. The route breaks into five sections of similar distance and it can be started at any point and travelled in either direction. For more information, visit The Long Distance Walkers Association or look for the official guide at bookshops or at the Tourist Information Centre at Sykes Lane, Empingham. 3. Whissendine to Teigh: An easy walk from church to church. From St. Andrew’s Church, Whissendine, turn left onto Station Road, pass the allotments and take the track on your right. Follow this track downhill for a mile to the railway line. Cross the railway line and follow the Rutland Round footpath through the fields to the church in Teigh. Suitable for kids and dogs. Distance: approx 2.5 miles, time: approx 1 hour. No pub in Teigh. 4. Whissendine to Langham: This circular walk takes in an ancient track-Loodle Lane-and then by field paths to Langham and back to Whissendine. It is a little longer than some other walks-about 8 miles-but has the option of breaking your journey halfway at the Ashwell Garden Centre Tea room for rest and refreshment. 5. Whissendine to Ashwell: This walk takes you from the Church of St Andrew to the Church of St Mary in Ashwell, taking in field paths, bridleways, quiet lanes and a couple of level crossings. The walk is approximately six miles and involves some mild ascents, which are rewarded with splendid panoramic views. 1. “Ordnance Survey” has excellent free online maps that can be saved as images on a phone or printed out (there is a daily limit of map views). Visit the website HERE. 2. “Public Rights of Way” in Rutland. 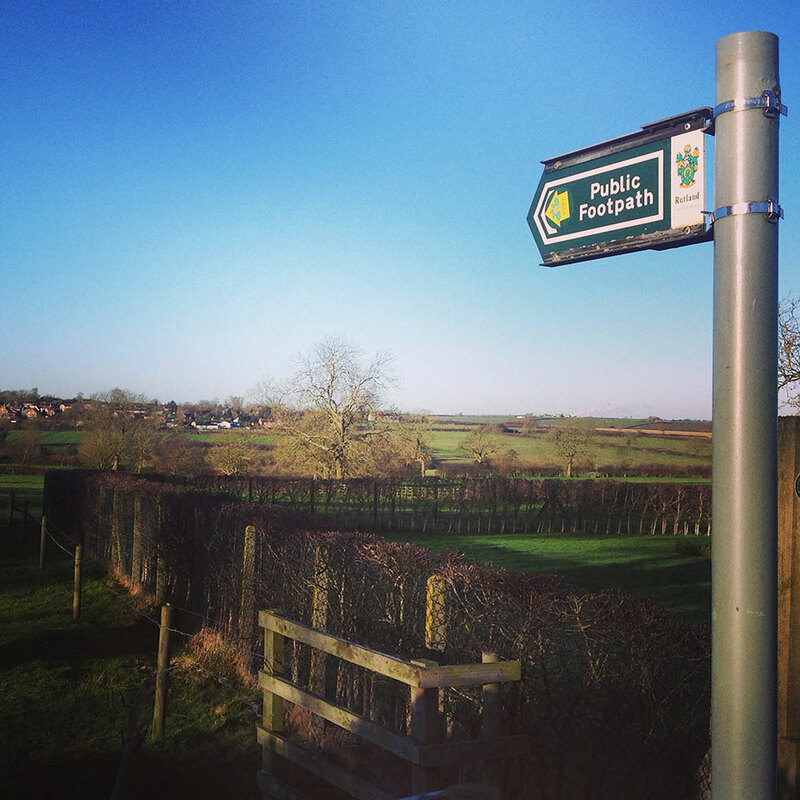 This Rutland County Council online mapping system for public rights of way features footpaths and bridleways around the village as well as from Whissendine to the villages of Langham and Teigh. View the online map HERE or visit Rutland County Council’s online mapping system page HERE. 3. Measure distance on a map HERE.